The fashion industry is characterized by changes in trends and business operation methods as the environment for business keeps changing. 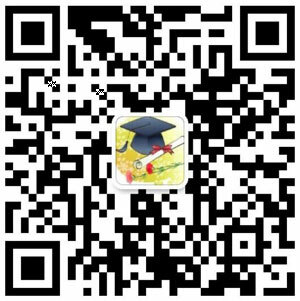 Therefore, the fashion industry has in the past encountered challenges in its operations based on the frequent changes. To counter the problem, the fashion industry was determined to develop tools and insights that would help in forecasting the demand for the fashion products. However, it was realized that the demand for fashion products could not be predicted due to the unpredictability of the fashion market. Therefore, in order to solve this problem, it was up to for the management to devise strategies and put up systems that would enable products to be manufactured and be delivered on ‘real-time’ when the demand was still high. Therefore, this led the focus in the supply-chain management in the fashion industry so as to be able to meet the high demand. Another common problem that has been facing the fashion retail industry is that of counterfeiting. The fashion industry is the world’s largest producer for fakes. The counterfeit practices are driven by the support from consumers who prefer the low price tag attached to these products. Most often the legit products are characterized by high prices that consumers consider too much, and therefore, opt to purchase the counterfeit that are lower in price. However, the presence of counterfeit fashion products have significantly impacted the fashion industry negatively as fashion retailers loose out millions of dollars in fake products. One of the known countries that is most affected by the counterfeiting of fashion products is Italy; the home of fashion and designing. The fact that most of Italy’s companies are small businesses does not help them to defend their products against counterfeiting. Therefore, production of fashion products in real-time and production of counterfeit fashion products are some of the problems that have been facing the fashion industry for a long time (Meraviglia, 2015). The prevalence of the above problems in the fashion industry has led to the adoption of new strategies that would help the industry to tackle and eliminate these problems. The development of technology has significantly been used by fashion industry retailers to solve most of their problems. Therefore, with the new Radio Frequency Identification (RFID) technology, the fashion retail industry has adopted it to help solve majority of the problems it is facing. In the production of fashion products in ‘real-time’ the adoption of RFID will help in the management of the supply-chain that will help improve the performance and efficiency of the system (Bhattacharya, Chu, & Mullen, 2008). The RFID will help in the designing and implementing of agile supply chain which will primary be focused on increasing the responsiveness. This is through the establishment of a virtual network where information is shared across all the partners in the supply chain network. On the other hand, the RFID will help in solving the problem of counterfeit products. 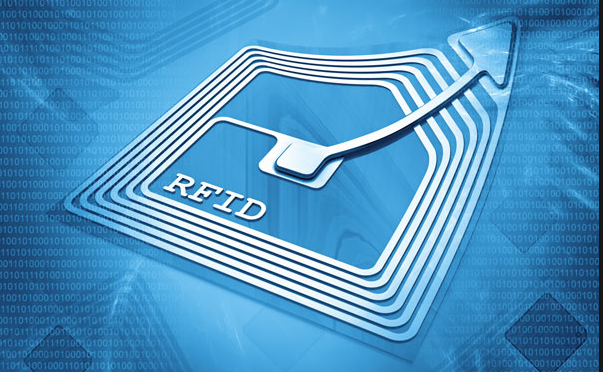 The development of the RFID technology has enabled embedding of information to the products that will allow in the tracking of the product through the supply-chain system and will also be used in the identification of original products. By supervising the movement of their products, the fashion retailers will be in a better position to restrict the distribution of counterfeit fashion products. The RFID technology has been around for decades with less interest towards it. This is attributed to some of the errors that were detected with the technology in its first adoption that led many of the industries to dump it off. However, decades later, The RFID is back and this time it has caught attention of many retailers, and it is for the good reasons (Gonzalez, Rinaldi,& Bandinelli). The adoption of RFID technology has been seen as part of a strategy that companies use to enhance their competitiveness. This has been greatly attributed to some of the benefits that users of RFID have been experiencing hence providing them a competitive edge. RFID has been claimed to improve the supply chain management thorough tracking product information that allows flexibility and greater control of the products as they move through the supply chain system. This is important in the fashion retail industry, as retailers use this information to communicate to their clients on the soon to be released products hence keeping them informed (Vijayaraman, & Osyk, 2006). The use of the RFID technology is meant to eliminate the manual counting at receiving docks as well as bar code scanning. Elimination of these systems will lead to reduced labor hours needed and elimination of human errors associated with the management of products. Therefore, the adoption of RFID improves efficiency and cut down the costs of operation. The eliminated costs of production will in turn be put back in designing and production of fashion products hence enabling the company to be highly competitive. Therefore, by increasing the efficiency and management of the supply chain management, reducing labor hours, and reducing the costs of operations, the RFID technology has been widely adopted by various fashion retailers around the world (Erickson, & Kelly, 2007). The big names in the apparel sector of fashion industry including Inditex, Gap Inc., Fast Retailing, and Hennes and Mauritz (H&M) have collectively adopted the RFID technology. However, there were a number of companies that had been using the RFID technology for years and have identified the benefits attached to the technology. However, to ensure effective use of the RFID technology, a model has to be developed that will ensure that its implementation will lead to better performance of the technology. One of the primary factors associated with RFID is cost management, and therefore, using a model that is focused on costs will be effective especially for retailers. Therefore, uncertainty-based model can be developed in which it will be used to enhance efficiency and effectiveness outcomes hence increasing the performance of the organization. The uncertainty-based model is primarily focused with the supply chain management. The supply chain is often subjected to uncertainty that often leads to the poor performance of an organization. The use of RFID is known to increase accuracy while eliminating human intervention. On the other hand, it decreases variability, delivery time, and manufacturing lead times. The only aspect in the chain system that remains uncertain is that of demand frequency. Therefore, through the implementation of this model, the fashion retailers can be able to manage their operations efficiently which will in turn influence their performance in a positive way. Several models are available for use in the RFID technology, therefore, the retailer has to choose a model that is aligned with their objective to enhance its performance.